General objective of this report is to analysis General Banking Operations in HABIB BANK Limited, here main focus on an emphasis on Foreign Trade. Other objectives are analysis on foreign exchange activities and discuss Banking Laws. Here also discuss about the background of the HBL and Overall Banking system of HBL. Finally focus on Foreign Trade process with its prospects and problems and make SWOT analysis and recommend if necessary. Bangladesh economy has been experiencing a rapid growth since the ’90s. Industrial and agricultural development, international trade, inflow of expatriate Bangladeshi workers’ remittance, local and foreign investments in construction, communication, power, food processing and service enterprises ushered in an era of economic activities. Urbanization and lifestyle changes concurrent with the economic development created a demand for Banking products and services to support the new initiatives as well as to channel’s consumer investments in a profitable manner. A group of highly acclaimed businessmen of the country grouped together to responded to this need. The Bank was incorporated as a public limited company under the Companies Act. 1994. The Bank started its commercial operation on July 05, 1995 with an authorized capital of Tk. 1,000 million and paid up capital of Tk. 100 million. The paid up capital of the Bank stood at Tk. 303.46 million as on 31 December 2001. The total equity (capital and reserves) of the Bank as on 31 December 2001 stood at Taka 771.53 million including the sponsor’s capital of Tk.1.43 million. The Bank has 19 branches across the country and a wide network of correspondents all over the world. The Bank has plans to open more branches in the current fiscal year to expand the network. The Bank offers the full range of Banking and investment services for personal and corporate customers, backed by the latest technology and a team of highly motivate office and staff. In our effort to provide Excellence in Banking services, the Bank has launched fully automated Phone Banking service, joined a countrywide-shared ATM network and has introduced a co-branded credit card. A process is also underway to provide e-business facility to the Bank’s clientele through Online and Home Banking solutions. Habib Bank Ltd. is the preferred choice in Banking for friendly and personalized services, cutting edge technology, tailored solutions for business needs, global reach in trade and commerce and high yield on Backed by the latest technology and a team of highly motivated officers and staff, the Bank offers full range of Banking and investment services for personal and corporate customers. Some of the corporate Banking products of the Bank include Letter of credit, guarantee Import and Export Finance Syndicated loan, Project Financing Leasing, working capital financing. Under its capital market service, Habib Bank provides undertaking of initial public offering, advising & safe custody of share for the investors etc. To be the premier financial institution in the country providing high quality products & services backed by latest technology & a team of highly motivated personnel to deliver Excellence in Banking. 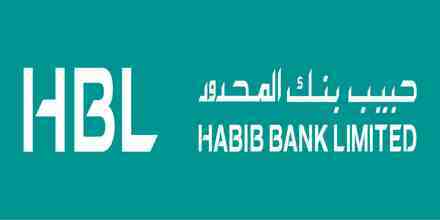 Products mix of Habib Bank Ltd.
General Banking operations In Habib Bank Ltd.
General banking creates a vital link between customer and bank. It’s really crucial department for the progression of the bank. It is the introductory department of the bank to its customer. The Habib bank Motijheel branch has all the required section of general banking. Every day it receives deposits from customer and meets their demand for cash by honoring instruments. General banking department is that department which is mostly exposed to the maximum number of bank customer. Step 1 Receiving filled up app. Form in bank’s prescribed form monitoring what type of a/c is desired to open. Step 2 App. form is filled up by the applicant himself /herself. Two copies of passport size photograph from individual are taken, in case of firm photo of all partners are taken. Application must submit with required document. Card must bear specimen signature. Step 3 Authorized officer accepts the application. Step 4 Minimum balance is deposited-only cash is accepted. Step 5 Account is opened and a cheque book and pay-in-slip book is given. The law rules and regulation of Bangladesh usual custom and procedures common to Banks in Bangladesh will apply to and govern the conduct of account opened with the Bank. A suitable introduction by an introducer acceptable to the Bank is required prior to opening of any account. Recent photographs of the account openers duly attested by the introducer must be produced. Each account will be given one account number. This number is to be properly quoted on all letters and/or documents addressed to the Bank and on all deposit slips. The Bank will not responsible for any loss or damage occurring as a result of wrong quotation of account number. Interest / commission / service or maintenance of account charge will be levied by the Bank as determined by the Bank from time to time and as per Bangladesh Bank regulation. The funds available in any of the account holders account (the customer) with the Bank will be considered by the Bank to be a security for any commitment(s) and / or obligation(s) present and / or future of the customer to the Bank. In the event of dishonor or unfulfilment of such obligation(s) and / or commitment, the Bank is entitled without giving prior notice to the customer to utilize such funds against the obligation(s) and / or commitment of the customer to the Bank. Any statement of account dispatched to the customer will be considered as approved unless discrepancy (ies) is notified in writing to the Bank within 15 days from the date of dispatch. The Bank is not responsible for the delays or non-delivery due to mail problems. Statement of accounts to be picked- up will be considered as approved even if not pick-up 15 days after the date they are produced. Statements of accounts are not produced when there is no operation during the Month. Those can be obtained on special request. Account holders must provide maximum security to the cheque books in there permission and the Bank is not responsible for any loss or misuse must be immediately reported to the Bank and confirmed in writing without delay. When cheques deposited are payable by other Banks or outstation they are available after clearing or collection only. Service charge will be charged @ Tk. 100/- in current account and Tk.50/-in savings account yearly or as charge by the Bank from tome to time as and when required. The Bank reserves the right to close the any account without giving prior notice if the conduct of the account is unsatisfactory in the pinion of the Bank or for any other reason(s) whatsoever. The balance in the account(s) is payable solely at Dhaka Bank Ltd and shall be govern by and subject to laws in effect in Bangladesh. As used herein “Laws” will includes Bank circulars, Modification, regulation and order of the government and Bangladesh Bank including practice in Banking. The Bank reserve the right to amend the present rules at any time in any manner with or without giving prior notice to the account holder(s) separately of to the public. The cheque book will not be issued unless and until all the required formalities are completes. Business people for their convenience generally open a current account. This Account Facilitates to deposit and withdrawn money at any time. Usually no banks allow any interest against this account. People prefer to deposit money on current account mainly for the following reason…. Other facilities like collection of cheque transfer of money and rendering agency and general utility services. This huge portion of this fund becomes non-performing. For this reason banks do not pay any interest to CD account holders. There is no restriction on the number and the amount of withdraws from a current account. Service charge and incidental charge are recovered from the depositors since the bank make payment and collect the bills, drafts, cheques, for any number of times daily. Businessman and companies are the main customers of these products. The Banks through current accounts grant the loans and advances. It requires a minimum amount of TK. 10,000/- to open a current account in the local office but under special cases it could be to taka. 5,000/-. Here we can see some essential requirement for different type of CD A/C (Current Account). Introducer who is having CD A/C with the same branch. SB A/C holder Cannot be the introducer of a CD A/C. Signature card with three-specimen signature. Two Copy Color passport size Photographs attested by the introducer. Two Copy Color passport size Photographs. Photographs attested by other partners. Copy of the rules and constitutions. Authentic copy of the resolution. List of the executive committee. 2 Passport Size photographs attested by the introducer. Certificate true copy of the memorandum and articles of association of the company. Certificate true copy of the resolution of the board of directors. Certificate list containing names and signatures of the directors. Acts/ Ordinance / resolution circulars. Passport size photographs attested by introducer. The deposit held in STD A/C are payable on short notice for 7 days of 30 days. The interest rate of STD in is 4.5% Different big organization; companies and other Govt. departments maintain STD A/C. Volume of STD A/C is generally high. In HBL various big accounts. Account opening agreement form is used for CDA. The Approval of the manager. This Type of deposit is intended for primarily small-scale saver. It carries an interest of 6%. A depositor is allowed to withdraw up to 25% of the balance per week. In case of 25% of the balance withdrawal in a week 7 or 10 days notice to be given to the bank. Saving account may be opened either individually or jointly. As per BB instruction 90% of SB deposits are treated as liability and 10% of it’s as demand liability. Interest is paid on this account. HBL offers a reasonable rate of interest for SB A/C. Generally, banks require a 7-day prior notice of the total amount of one or more withdrawals on any date exceeds 25% of the balance of the account unless is given. But in DBL there is no restriction about drawing money form savings account. Any time Account holders may draw money of any amount without prior notice. The number of withdrawals over period of time is limited. Only two withdrawals are made in a week. No interest will be paid on rest amount for that month. Minimum Balance of TK.5000/- is to be maintained. Interest will be counted on the minimum balance form the date 1-6 of a month. HBL gives no interest if the balance is below TK 2000. No service charge as it is and interest bearing account. Fixed deposit is that kind of account that is repayable after the expiry of a predetermined period fixed by the customer himself. It is popularly known as time deposit. Offers different size of period varies from 3 months to 3 years or above. Interests on fixed deposit accounts are paid at rates fixed by the head office from time to timer depending on their period of maturity. Amount and period of deposit must be mentioned clearly. In case of pre-matured FDR, is not bound to accept surrender of the deposit before its maturity date. In order to deter such tendency, the interest on such as fixed deposit is being cut on a certain percentage less than agreed rate. Incase of a lost FDR the customer is asked to record a general diary in the nearest police station. After that the customer has to furnish and indemnity bond to the branch. A duplicate FDR is than issued top the customer by the bank. The bearer certificate deposit is a document of title similar to tome deposit received issued by the bank. The document is bearer documents hence readily negotiable, whoever present it to the bank has the right to get the money. To open bearer certificate of deposit the following processes are maintained…. A credit voucher crediting BCD with the full amount shall be prepared. Serial Number of BCD, date of issue, date of Encashment, rate of interest, will be recorded in the BCD register. a) The signature of the account is verified. b) The number unused leaves of the chequebook shall be noted thereon. c) The manager will approve the application. d) Incidental charge should be debited the account. A cheque is treated as an important document in the branch. Cheque is an instrument in printed from containing an unconditional order signed by the a/c holder directing a certain person to pay a certain amount of money only to or to the order of a certain person or to the b bearer of the instant. At the time of opening an A/C the customer is required to sign a cheque book requisition slip (No.S.F. -73) if the A/c opening form is found complete in all respect a cheque book is issued to the client. The account number is written in each page of the cheque book and its requisition slip. The requisition slip should be preserved as voucher. Loose cheque is the customer in that situation requires an instrument that is delivery by the banker when he might on be having his original cheque book with him. Loose cheques are issued to the customer form a new full cheque book reserved by the department for this purpose. Before issuing the loose cheques entries are made in the CBR (Cheque book requisition) and in the computer as well with the concerned officer’s initial. The party requires a loose cheque has the loose check requisition slip supplied to him by the bank. An officer who personally knows him attests the requisition slip. The officer in charge deposit department verifies the signature of the account holder. The approval of the manager has been obtained to issue that loose cheque. The name of the account holder, his account number, date of the loose cheque issued and the amount to be drawn is written of the cheque and its counterfoil. A stamp bearing the bearing the title LOOSE CHEQUE is affixed on the face of the cheque at top under authorized signature. D. is drawn on the branch. Issuing branch’s rubber stamp is fixed. Amount in word & the amount in figure should be same. Verify the test number is tested. The payee must be properly identified in case of cash payment. If D.D is placed before arrival of ‘IBA’ then make the payment by debiting. Suspense A/C. D.D paid without advice, Advice will come than. Particulars of D.D payable & D.D. Paid without advice is entered in the respective register. Tk. 50.00 as postage charge is taken and 0.15% commission on the draft value. The amount is separately credited to the concern income account. To cancel an issued D.D. the client has to submit an application. Issuing branch then sends an I.B.D.A (inter branch debit advice to the drawn branch against previously issued I.B.C.A (inter branch credit advice). If any person wants to transfer money within the local areas where the bank located then the transfer be made by ‘Pay Order’ Deference between ‘Pay Order’ and ‘Demand Draft’ is in terms of place only. Pay order is issued for remitting money within the city whereas D.D. is issued for within the country. To issue a ‘Pay-Order’ the party should maintain and A/C. with the bank. The bank also allows special customers without A/C for Pay-Order in special circumstances. The main feature of pay-Order is that in where (That is in which branch) the P.O. is issued the party should encash the money form the same branch. Purchaser must be an account holder of DBL Agrabad Branch. Depositing money with P.O. application form. Giving necessary entry in the bills payable (PO) register. Payees name, date, P.O. no. Etc. After it has been scrutinized & approval by higher authority, the instrument is delivered to customer. Signature of customer is taken in the counterpart. Account payee only : only can encash it by depositing it in his Account. Blank crossed : Any one can encash it by depositing in their account. Cash payment : Identification regarding payee. When P.O. submitted by collecting bank through clearinghouse, the issuing bank gives payment. Thus bank’s liability is settled by debiting bills payable. But before giving payment it should be examined whether endorsement was given by the collecting bank or not. If not hen the instrument is dishonored marking ‘Endorsement required’. A customer of HBL who is the payee of a P.O. Will deposits it for collection. The instrument is given to the clearing that will place it to the issuing bank in the clearing house. Before placement, HBL as a collection bank gives necessary endorsement. This is the most usable instrument in remittance section. In local office, T.T. Is generally done by telex, telephone is also used necessary. To issue a T.T the party should maintain an A/C with that issuing Bank. Telegram charges are also recovered from the customer and are credited to income account telegram charges covered a credit voucher is prepared for the customer. Text of telegram is written and handed over. Then the massage is typed on the from. The original telegram & confirmation is sent to the dispatch departmet. IBCA is prepared in duplicated. A Separated register is maintained for T.T. Issue. Telegraphic transfer is one of the fastest means of transferring money form one branch to another or from one place to another. The TT issuing bank instrument is given for T.T Both parties should have account, as money is transferred. Application by customer along with money given. In receipt of money a cost memo is given to the customer containing TT serial number. The customer informs this number to the awaiting party in the other branch. Tested fax message is prepared, where TT serial and the of the concern party to whom the money will be credited is mentioned. Activity report is received form the telex department confirming transmission of message. After receiving the fax message it is sent for test agree. TT serial number is scrutinized in the “TT in -concern branch” register. The payment of TT requires a lot of paper works. Vouchers are made. At first H.O. concern bank is debited with TT payable credited. Then the TT payable is debited with party’s A/C credited. The receiving party can also take the cash after his A/C is credited. For the payment of TT caution must be taken because various fraud and forgery. So test no. is required for security. Clearing is one of the most important functions of general banking. Mainly clearing is an arrangement held in Bangladesh bank where daily representative of the member bank gather to clear their cheques and instruments. The bank receives many such instruments during the from the A/C holders. May of these instruments are draw payable at other banks. When the bill is within the range of the clearinghouse it is sent for collection through clearing section. As far as safety is concerned customers get crossed cheque for the transaction crossed check can’t be encashed form the counter, rather it has to be collected through banking channel i.e., clearing. If a client of HBL received a check of another bank which is located within the clearing range and deposit the instrument in his account at HBL then HBL will collect the money through clearing house. After received the check HBL will credit client account. However, the amount is credited in the customer A/C but he will no get the money until the check is honored. Received seal is stamped on the cheque. Crossing of the cheques are don. “Payee’s A/C Credited” endorsement is given. Entries are given in the Outward clearing Register. Entries age given in the clearing House Register before dispatching to the clearing house. After that, a debit voucher is prepared. However, the principal branch clears its checks as well as the checks of other branches because, no other branch is allowed to represent directly. The other branches send the instruments along with IBDA principal Branch acts as an agent in this case. If the cheque is dishonored, HBL sends a memorandum (cheque return memo) to the customer stating the reason. The duly signed instruments are received. The instruments are checked for any kind of discrepancy. “Received for Clearing” seal is stamped on the counterfoil of the deposit slip. Instrument is stapled with Deposit Slip. Special crossing in favor of “Habib Bank Ltd” is given on the instrument there of. Entry is given in NIKASH. The instruments are sorted bank wise as well as branch-wise. Entries are given in the Clearing House Register before dispatching to the clearinghouse. All the instruments are sent to the First Clearing House to deliver them to the respective banks. The clearinghouse is an assembly of the locally operating scheduled banks for exchange of checks, drafts, and other demand instruments drawn on each other and received form their respective customers for collection. The house meets at the appointed hour on all working days under the chairmanship of the central bank. The clearing house ists twice ina working day. The Member submits the claimable checks in the respective desks of the banks and vice-versa. Later on all the instruments of HBL which were claimed by other banks are sorted and delivered to respective branches. Inward clearing refers the instruments drawn on the Agrabad branch, which are received from other banks in the clearinghouse by the representative of other banks. The followings steps are taken for inward clearing……….. The instruments drawn on the bank, which are received form other banks through clearing house. The amounts of number of instruments are entered in the house form the main schedule of respective banks. The instruments with schedule are arranged branch wise. The instruments send to branches concerned for clearance and IBCA’s are collected form them for honored cheque. The instruments are sent to the respective departments and the schedules are filled. These sorts of instruments are cleared form the second house of the central bank. When instruments received form other branches or other banks, they are treatment as inward bills for collection. In practices instruments of other banks or branches are cleared through clearinghouse. For those instruments form other branches of and other banks outside clearinghouse come under the bill collection procedure. When the OBC is received form the other bank’s branches, which are treated as outward bills for collection. This collection procedure occurs in two different situations. FOREIGN TRADE In HABIB BANK LTD.
Foreign trade can be easily defined as a business activity, which transcends national boundaries. These may be between parties or government ones. Trades among nations are a common occurrence and normally benefit both the exporter and importer. In many countries, international trade accounts for more than 20% of their national incomes. Foreign trade can usually be justified on the principle of comparative advantage. According to this economic principle, it is economical profitable for a country to specialize in the production of that commodity in which the producer country has the greater comparative advantage and to allow the other country to produce that commodity in which it has the lesser comparative advantage. It includes the spectrum of goods, services, investment, technology transfer etc. This trade among various countries causes for close linkage between the parties dealing in trade. The bank which provides such transactions is referred to as rendering international banking operations. International trade demands a flow of goods from seller to buyer and of payment from buyer to seller. And this flow of goods and payment are done through letter of credit (L/C). As more than one currency are involved in foreign trade, it gives rise to exchange of currencies which is known as foreign exchange. The term “Foreign Exchange” has three principal meanings Firstly it is a term used referring to the currencies of the other countries in terms of any single one currency. To a Bangladeshi, Dollar, Pound sterling etc. are foreign currencies and as such foreign exchange. Secondly, the term also commonly refer to some interments used in international trade, such as bill of exchange, Drafts, Travel cheque and other means of international remittance thirdly, the terms foreign exchange is also quite of ten referred to the balance in foreign currencies held by a country. In terms of section 2(d) of the foreign exchange regulations 1947, as adopted in Bangladesh, Foreign Exchange means foreign currency and includes any instrument drawn, accepted made or issued under clause (13) of article 16 of the Bangladesh Bank order, 1972, all the deposits, credits and balances payable in any foreign currency and draft cheque, letter of credit and bill of exchange expressed or drawn in Bangladesh currency but payable in any foreign country. In exercise of the power conferred by section 3 of the foreign exchange regulation, 1947, Bangladesh Bank issues license to schedule bank to deal with exchange. These banks are known an Authorized Dealers. Licensees are also issued by Bangladesh Bank to persons or firms to exchange foreign currency instruments such as T.C, currency notes and coins. They are known as Authorized money changers. Importation is foreign goods and services purchased by customer, firms and Governments in Bangladesh. To import, a person should be competent to be an importer. According to import and Export control Act, 1950, the office of chief controller of Import and Export provides the registration certificate (IRC) to the importer. After obtaining this person has to secure a letter of credit authorization (LCA) from Bangladesh Bank and then a person becomes a qualified importer. He is the person who requests or instructs the opening bank to open an L/C. He is also called opener or applicant or the credit. Opening of L/C means, at the request of the applicant (importer) issuance of a L/C in favor of the beneficiary (Exporter) by a bank. The bank, which open or issue L/C is called L/C opening bank or issuing bank. On receipt of the importer’s L/C application supported by the firm contract (Indent / Proforma Invoice) and Insurance Cover Note the bank scrutinize the same thoroughly and fix up a margin on the basic of banker – customer relationship. In case of usance L/C, mention rate of interest clearly in the letter of credit. Settlement means fulfillment of issuing bank in regard to affecting payment subject to satisfying the credit terms. Settlement to may be done under three separate arrangements as stipulated in the credit. Here the seller presents the documents to the nominated bank and the bank scrutinizes the documents. If satisfied, the nominated bank makes payment to the beneficiary and in case this bank is other than the issuing bank, then sends the documents to the issuing bank and claim reimbursement as per arrangement. Under this arrangement, the seller submits the documents evidencing the shipment to the accepting bank (nominated by the issuing bank for acceptance) accompanied by draft down on the bank at the specified tenor. After being satisfied with the documents, the bank accepts the documents and the draft and if it is a bank other than issuing bank, then sends the documents to the issuing bank stating that it has accepted the draft and at maturity the reimbursement will be obtained in the pre-agreed manner. This settlement procedure starts with the submission of documents by the seller to the negotiating bank. in a freely negotiate documents and if negotiation restricted by the issuing bank, only nominated bank can negotiate the documents. After scrutinizing that the documents meet the credit requirement, the bank may negotiate the documents and give value to the beneficiary. The negotiating bank then sends the documents to the issuing bank as usual; reimbursement will be obtained in the pre-agreed manner. This is the most sensitive task of the import department. The officials have to be very much careful while making payment. Date of Payment: Usually payment is made within 7 days after the documents have been received. If the payment is become deferred, the negotiating bank may claim interest for making delay. Preparing Sale Memo: A sale memo is made at BC rate to the customer. As the TT & DD rate is paid to the ID, the difference between these two rates is exchange trading. Finally, an Inter Branch Exchange Trading Credit Advice is sent to ID. Practically by the term Export we mean out carrying of anything from one country to another. As banker we define export as sending of visible things outside the country for sale. Export Trade plays a vital note in the development process of an economy. With the caring we meet out import bills. Although export trade is always encouraged, any body cannot export anything to any place. Like importer the exporters are also required to get them registered before entering into export trade. Export registration certificate (ERC) given by CCI & E is required for this purpose. The required documents to obtain ERC are also same as IRC. When a bank (Authorized dealer) receives a L/C (cable or original) it ascertains the correctness of the test number and the authorized signature. Then the bank sends the original copy of the L/C to the beneficiary. The exporter presents the relative documents to the negotiating bank after the shipment of the goods. The L/C issuing bank undertakes to honor is obligation only if the beneficiary fulfills the conditions stipulated in the L/C, may namely, the submission of stipulated documents with in the stipulated time. List out the discrepancies, which may be classified as major or minor, irremovable or removable. The removable discrepancies can be corrected by the tendered or future losses, which may arise due to non-repatriation of proceeds. The Export and Importer trade in our country are regulated by imports and exports (control) Act, 1950. Under the Export Policy of Bangladesh the exporter has to get the valid Export Registration Certificate (ERC) from chief controller of Import & Export (CCI & E). The ERC is required to renew every year. The ERC number is to be incorporated on EXP Forms and other papers connected with exports. Memorandum and Articles of Association and certificate of Incorporation in case of limited company. Introducing the “customer Day” or “Care U” week and new advertisement on different TV channels. Launching one stop service cell. More skilled persons are needed for reducing busyness. More persons are needed for instant service. High executive should deal this department directly. Some qualified officers should be promoted properly. Without it they become demoralized. Sending the assistant officers and officers to BIBM for better view over pragmatic knowledge they know what they doing but don’t know how and why they are adopting different banking practice. Should be developing more interpersonal relation. Arranging the Habib Bank Ltd. Inter College Debate Contest and quiz test for children. Offering scholarship for the Varsity Students and School goers. Offering pre shipment and post shipment finance. These initiatives will ensure healthy sales volume as well as well progression for the Habib Bank Ltd. And a new door of possibility will open up. The education or study / training are then effective when it is related with practical. Students are very much practical oriented in the department of science because they are laboratory room oriented. In the business world the study also must be related with practical field. The principles, operations whose we read and memorize from various books, we should know whether it implemental in practical field. There has no alternative to make the business study effective. Though the books are available in the syllabus of business administration was written according to the operation of generally recognized industries but in implementation of those theoretical principals, procedures are not same in every industry. Especially in the environment of Bangladesh there has a lot of deviation is seen. Why this deviation how to overcome from that deviation, try to find out the reason and try to give solution and recommendation. In the organizational environment I feel very cozy to work in that type of convenient ambience. The premises expedite me for enhancing my knowledge as well as give me a proper safeguard about upcoming future circumstances.